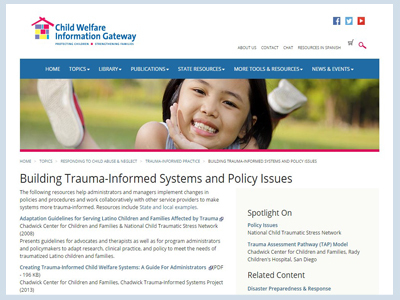 The following resources help administrators and managers implement changes in policies and procedures and work collaboratively with other service providers to make systems more trauma-informed. If a baby is repeatedly scared and emotionally overwhelmed and they do not get their survival brain soothed, so they can cope, they begin to develop a brain and bodily system which is on hyper alert and the World seems to be a scary place. 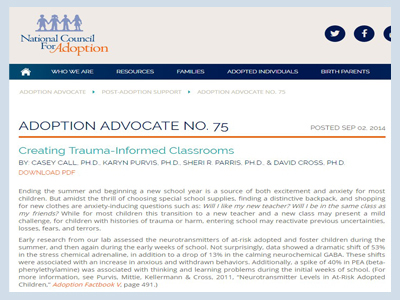 In our work, we often refer to at-risk children as those who have come from “hard places.” Not only are there changes in the brain and the biology, there are also tragic changes in the belief systems of these children. 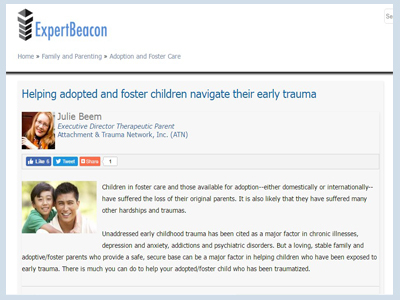 Children in foster care and those available for adoption–either domestically or internationally– have suffered the loss of their original parents. 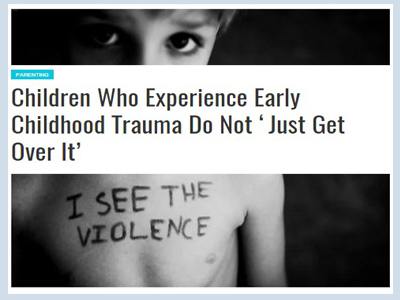 It is also likely that they have suffered many other hardships and traumas.